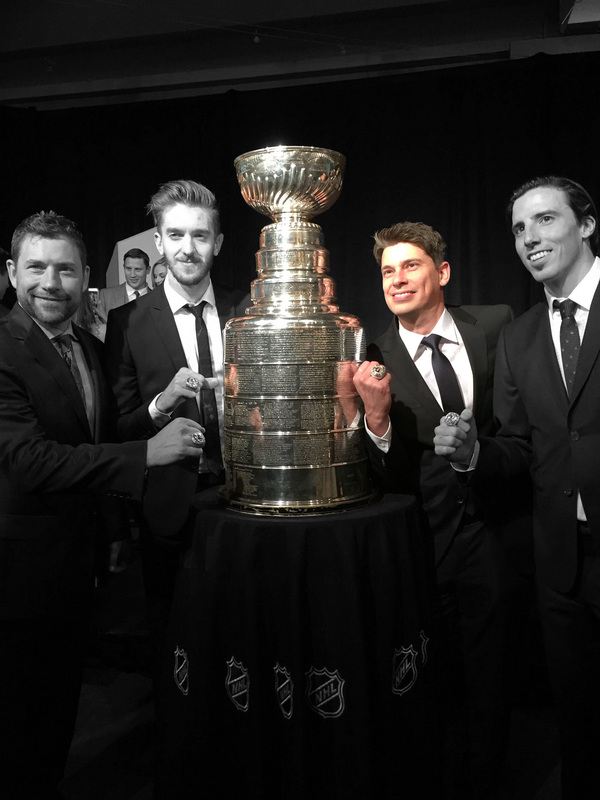 Awesome Hockey Article By Quick LA Kings - Pro Ambitions Hockey, Inc. I had to pass this awesome hockey article written by LA KINGS GOALIE Jonathan Quick. It is about SNIPERS. Quick is a UMASS Hockey East alum. Mike Buckley our Goalie Director coached him there. Mike is now The Pittsburgh Penguins Goalie Coach. He has won 2 Stanley Cups. 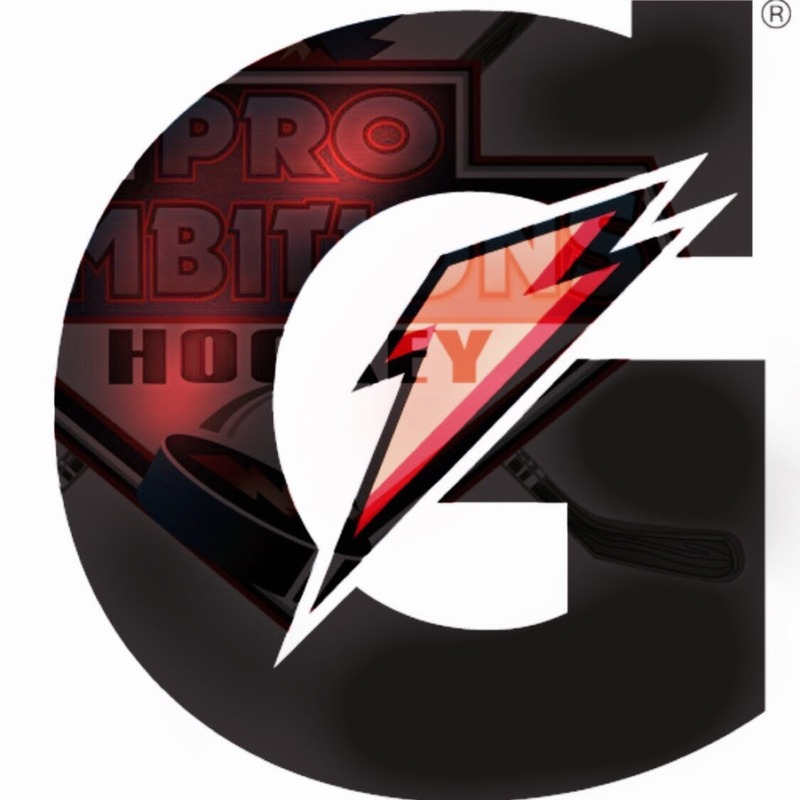 Mike will be training with the goalies one day per week at AAA BU Camps this summer. His team of coaches that have trained countless NHL goalie are trained using his unique methodical and mathematacial approach. It always bothers me when people use this to discredit an amazing glove save, because I feel like it means that people don’t understand the beauty of my position. In the NHL, 90 percent of the save happens before the player shoots the puck. As a goalie, if you’re relying on your reaction time to make saves, you’re going to get yanked in a hurry. Keeping pucks out of the net is mostly about intuition and geometry. You’re watching the puck carrier and processing all of the guy’s options on the ice, plus you’re looking at his feet, hands and body positioning. Is he shooting? High or low? Where’s his passing lane? What’s the play here? All the variables add up and tell you everything you need to make a decision. Instantly, your brain tells you to push out to the top of the crease and make yourself “big” to close down the angle on the shooter, or to cheat your weight a little bit to push off and cover the pass. Before the shot even comes, most of your work is done. You’ve committed and you just hope you’ve made the right decision. Let me give you an example. This is probably one of my most famous saves. The thing is, that save has very little to do with my hand-eye coordination. Actually, the first part of it has nothing to do with me, period. If my defenseman Drew Doughty doesn’t go down and smartly take away the cross-crease pass here, I’m dead in the water. You can tell that Kane wanted to pass, because his eyes and hips are facing away from the net at first. Thankfully, Drew had my back. Next, I see Kane turn his skates toward the goal, so I stack my pads to take away the bottom of the net. Again, if he has a passing lane here, I’m toast. Thankfully my other defenseman is locking up the off-side winger. Finally, I see Kane’s weight shift and his hips open up, and I know he’s going high. So I lift my glove as high as I can and just pray. You can call it lucky if you want, but it actually involved four different variables that unfolded in a matter of 1.5 seconds. For some reason, when you’re on the ice, time tends to slow down and it actually feels like about seven seconds. There are certain complexities to the game at the NHL level that can only be explained if you’ve seen them firsthand on the ice. That’s why I wanted to write this piece explaining what makes Elite Snipers so difficult to deal with for goaltenders. I’m going to cheat a little bit and include these two as a package deal. Two words come to mind when I think about the Anaheim Ducks: Heavy minutes. A minute of them playing in your zone is equivalent to a minute and a half of another team, just because they play behind your net so much. So you have to be deep in your stance and on full alert a lot more and your legs start to really feel it by the third period. Getzlaf and Perry have tremendous vision when possessing the puck on the perimeter. Even with their back to the play, they have an elite ability to make quick decisions and pick the seams in the defense. They use their big bodies to play keep-away behind the net, which forces me to scramble from post to post, and also wears down my defensemen. Then they’ll spin to the front of the net and try to create multiple rebounds and general mayhem. They may not even score, but those heavy minutes kind of soften you up a bit for the next line. There’s obviously a ton of emphasis on puck possession in the media and in NHL locker rooms with the advanced stats movement really growing. But I think it’s about the kind of possession you have. Some teams might have a lot of puck possession in your zone, but they’re really not in threatening positions. They might be cycling the puck around on the perimeter and throwing some stuff on net, but that’s pretty easy to deal with. With Getzlaf and Perry, it feels like every second of their in-zone time is threatening. In the NHL, everyone shoots the puck well. But most guys need the puck in the right spot in order to be really dangerous. The really top-tier shooters like Getzlaf and Perry can be holding the puck five feet outside of their body, or they could have it in their feet, and yet they can still get it off with mustard. That changes the whole calculus for me as a goalie. The best shooters aren’t necessarily the hardest shooters — the best shooters are the guys who can drastically change the angles of their release. If an average shooter has the puck in that position, you’d be thinking, Alright, he’s off-balance on one foot. He’s not going to get a lot on this. Getzlaf roofs it before Howard can even react. Also notice the screen in front of Howard, another Ducks trademark. Datsyuk is probably the most deceptive player in the NHL. He’s a magician in the way that he’s able to hide the puck on his stick. Part of that is his hardware. He uses a type of blade that is pretty unusual in the league. It’s a lot thicker from top to bottom, and somehow when you combine this with his quick release and the fact that he’s hardly ever looking at the net when he shoots, it’s extremely difficult to track the puck coming off his blade. Like I said above, 90 percent of the save happens before the guy releases the puck. Most guys have a little tell. You look at where the puck is in relation to their feet, or the way they’re bending their knees to get ready to shoot, and you just know what’s going to happen before it happens. But the problem with Datsyuk is that he fools you with his intentions. He will be way out on the wall with his hands, feet, and eyes positioned for a cross-ice pass — and it’s the right decision. It’s what 99 percent of players will do in that situation. So you instantly start cheating your eyes over to where he’s going to pass. Next thing you know — what the hell? — the puck is behind you in the net. He shot it. Who shoots from there? Datsyuk shoots from there. I’d call Datsyuk a master chess player. As a goalie, your nightmare is when the puck carrier has multiple options. Datsyuk has a knack for seeing the entire ice and holding onto the puck until space opens up and he has a couple different plays he can make. He kind of stretches you and forces you to get caught in the middle of taking away the shot or taking away the pass. You have to commit to one or you’re toast. It’s a 50-50 gamble sometimes with him. The best backhand shot in the league. I think it might’ve been my first or second year as a pro, and he scored on me from like the hash mark on the wall. Not with a forehand. With a backhand … that beat me far corner. That’s pretty much unheard of. You should stop that 100 out of 100, but he got it off so quick and the puck came in so hot that I didn’t even know it was in the net until his hands were in the air. It was ridiculous. Crosby just does everything so well. When you’re in the locker room before a game, you look at the two or three stars on the other team and you try to figure out how to make them play to their weaknesses. You point to a name on the whiteboard and say, “Alright, he’s not good at X, so let’s force him to do it as much as possible.” There’s not a single part of Crosby’s game that we can take advantage of. He’s simply an all-around unbelievable hockey player. Like I said before, it’s all about multiple options. If Crosby is able to beat his man and get one-on-one with a goalie, it’s just unfair. His blade is almost completely flat, which combined with his ridiculous forearm strength gives him the ability to go forehand to your five hole instantly or turn it over to the backhand and roof it (a lot of guys can’t do this with a flat blade). Sometimes I’ll see him on TV coming down on a goalie and it’s like, Oh boy, here we go. Crosby will be stickhandling it front of him and then he’ll go five hole so fast that it’s like he barely touched the puck. The goalie won’t even react. It’s because he’s frozen. There’s no safe bet. If Crosby goes backhand, the goalie has to push off hard to slide across, so he has no choice but to be deep in his stance with the five hole open. Bad news. To piggyback on that idea a little bit, when you look at the best guys in the league at the shootout, they all have three or four really good moves, but they all start out exactly the same way. Look at T.J. Oshie. He’ll pick the puck up and take a similar route toward the net every time. He’ll stick handle it in a similar way every time. And then when he gets to a certain spot, he has four moves that branch off from there. You don’t really know what he’s going to do until he does it. So it forces the goalie to make a reactionary save, which is much more difficult. Obviously, he’s got a heavy, heavy shot. But I’ll go back to the theme of unpredictability again with Ovi. We played them in L.A. this season and he came down on a two-on-one rush. Ovi didn’t have the puck — he was the passing threat on my right side. He’s a right-handed shot, so he was in the perfect position for a one-timer. So I see him open up his hips, and I’m thinking, Okay, obviously he’s a huge threat right now. But he kept drifting backward to the point where he was so far wide that my brain was naturally like, There’s no way. And the guy still made the pass over to him. He must have been two feet from the wall. I took his position for granted because he was so far out, and somehow he wired it so hard that I didn’t even have a chance. Look at the leverage he was able to get on his shot while floating away from the net. Guys like Ovi shoot it so hard that it’s almost like you’re a batter in baseball. You see the blur of the puck coming at you in frames. One frame, two frames … by the third frame it’s already hitting you. If you’re trying to make a reaction save against Ovi, you’re already beat. You better already be at the top of the crease cutting off the angle. I’m cheating again with his duo. It’s not a coincidence these guys are in the Conference Finals or Stanley Cup Finals seemingly every year. Unlike Getzlaf and Perry, these guys do very different things, but they complement one another perfectly. I don’t think I’ve ever seen two guys play with more confidence in themselves. They just seem to have an unwavering belief that they’ll find a way to win. Let’s start with Kane. Even though he’s a smaller guy, he has a top-tier release and I think he’s actually a little bit underrated in terms of his hockey intelligence. He’s one of the best in the NHL at seeing the ice and reading defenders. A lot of guys with his natural skill level would maybe coast and wait for their chances, but Kane is constantly scanning the ice and processing where the play is going, and where he can pop into open space for a good opportunity. And, of course, his hands are ridiculous. Kane’s stickhandling quickness is probably the best in the NHL. Almost every game, he makes a defenseman look silly by catching them cheating on the pokecheck, then he goes right through their tripod (between the stick and legs) with the dangle. When a guy like Kane is on the ice, you immediately take notice as a goalie. He’s on your radar constantly as the play is unfolding. But add in Toews to the mix and it’s a totally different level. The thing with Toews is that he is constantly moving, constantly working, and possesses an unholy ability to know where the puck is going before it even happens. He’s like a psychic out there. I hate to use words like “intangibles,” but it’s very difficult to describe how Toews is always able to find himself in the right place at the right time, especially in big moments. If Anaheim is hard minutes physically, Chicago is hard minutes mentally. You have to constantly be tracking the movements of Kane and Toews because you’re paranoid that Kane is going to float back door and Toews is going to know he’s there without even looking up. And I think that’s why hockey is such an interesting game to break down. Most people think of hockey as this brutal game (and it definitely can feel that way when you get hit with a Shea Weber slap shot below the belt) but it’s really a mental game more than anything. Chicago has won three of the last six Stanley Cups. Kane and Toews aren’t the biggest guys in the world, but they’re incredibly intelligent, mentally tough and have amazing intuition when playing together. Man, I want to beat them so bad. Let’s get this season started already (sorry, honey).